The second edition of the Federal Championship of Asado, dedicated to honor the Argentine identity through its more emblematic food ritual, will take place on Sunday, August 20th, 2017, from 11 am to 6 pm, in a giant open air event with free entrance to the public in downtown Buenos Aires along Av 9 de Julio, from Corrientes to Av. de Mayo. 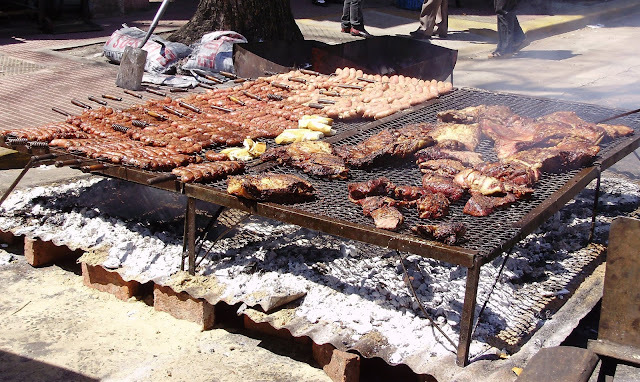 The 23 Argentine provinces and the Capital city of Buenos Aires will participate in the barbecue ("asado") competition. 24 grills (parrillas) will be installed at Plaza de la República next to the Obelisco. The participants, that will be evaluated by a panel made up of cooks from best Parrillas of Buenos Aires, will compete in four different categories for the title of best Asador of Argentina. During the event visitors will be able to enjoy traditional Argentine dishes at the large Food Courts, as well typical national dances, live music shows, and lots of special activities for kids. The event will be suspended in case of rain.